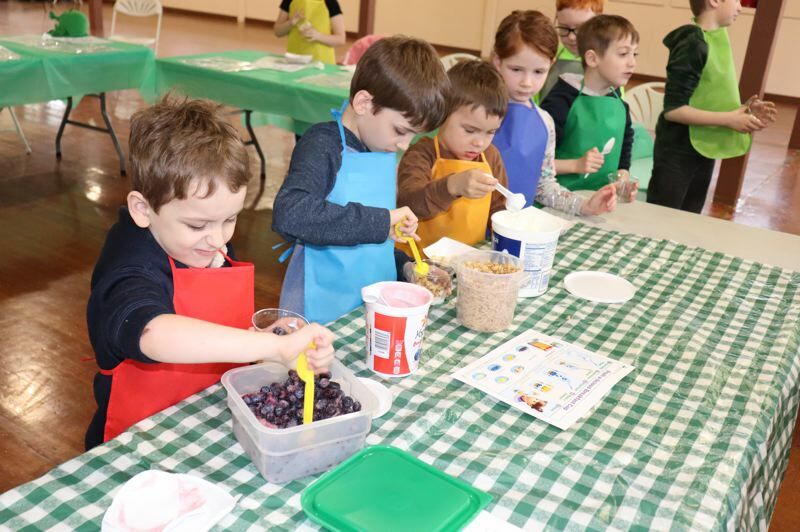 4-H Spring Break Day Camp at the Clackamas County Fairgrounds provided a week of education and skill building for 4-H families taking a "staycation" this year. 4-H programs often fill the gap between home and school education, building critical life skills. The five-day Spring Break Camp featured sewing, horticulture, food preservation, baking, cooking, fiber arts, woodworking and art. 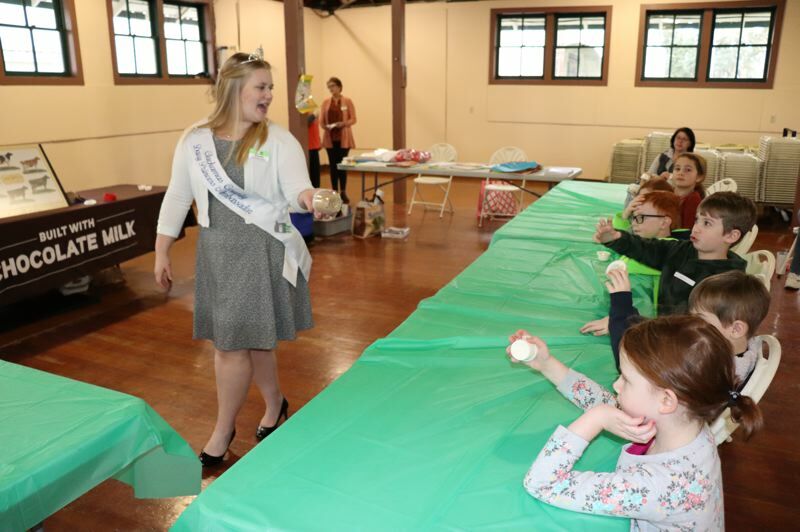 Participants included 4-H Cloverbuds (ages 5-8), 4-H Juniors (ages 9-11), Intermediates (12-14) and Senior members led by 4-H alumni and volunteers. 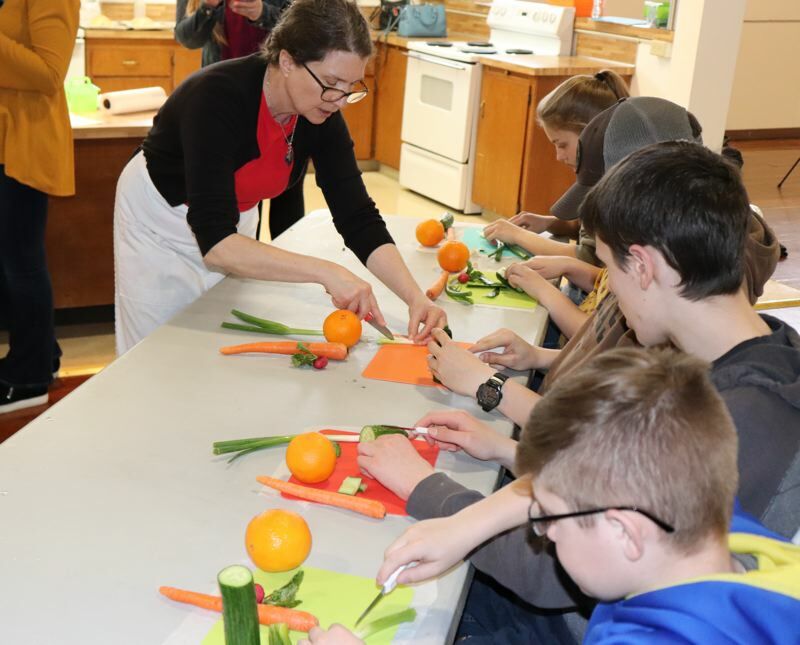 "Volunteers are the backbone of our whole organization," said Jan Williams, 4-H youth-development faculty member with the Oregon State University Extension Service in Clackamas County. "They bring their own skills, their passions, their sparks, and they usually get a whole lot back. It's as much fun for them as it is for the youth." On April 1, 4-H launched "Raise Your Hand," a national campaign asking 4-H alumni, supporters, and friends to vote for their state. The three states with the most hands raised will receive $20,000, $10,000 and $5,000 to expand local 4-H programs (like Spring Break Day Camp) to more youth. The names of alumni that vote go into a 4-H national database, and the Oregon alumni are returned to the Oregon 4-H Foundation. "This is very important to the work we do because we lose track of a lot of our alumni as soon as they graduate high school, move and change their contact info," said Williams, adding that many of the Spring Break Camp instructors are alumni. "Maybe there's something we've forgotten, and it would be nice to know that it was valuable to them when they were young, and perhaps we can bring it back to youth today."